IP finance: University-generated information: Is it more public or private? University-generated information: Is it more public or private? The involvement of universities in commercial activities is a complex issue. Roughly speaking, these endeavours can be divided into two categories. First there is the commercialization of publicly-funded university research and the concomitant rise of technology university transfer offers. Secondly, especially in the U.S., universities have sought to earn licence fees through the sale of various paraphernalia bearing their name or emblem. These two spheres of activity, commercializing technology through the licensing of patent and trade secret rights, on the one hand, and earning trade mark/copyright royalties, on the other hand, have largely remained separate and distinct. What happens, however, when these two functions -— technology transfer and goodwill licensing -— are brought together? This question was raised in connection with an article that appeared in the September 22, 2012, issue of The Economist. Entitled "Artificial Dissemination", the article here focused on the differences that arise in connection with the release of financial data to the public. Government bodies take measures to provide that official data are disclosed to everyone at the same time, so no one can gain a financial advantage, even for a matter of minutes or even seconds in an age of high-speed transactions. Private purveyors, however, prefer to stagger the disclosure of information, whereby those who are willing to pay more are fed the information on a time-priority basis. The example brought by the article is the situation involving the well-known consumer- sentiment index, compiled by the University of Michigan, which is distributed twice a month. 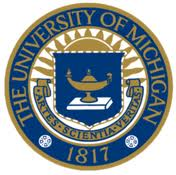 For non-U.S. readers, the University of Michigan is one of America's great public universities. Its index is a closely watched and oft-quoted indicator of consumer sentiment, a topic of particular interest in times of economic challenge. 1. Subscribers of the "ultra low-latency" fee receive the information two seconds (!) before 9:55am. 2. Desktop clients receive the feed exactly at 9:55 am. 3. The public receives the feed at 10:00 am. These seemingly small time differences, even the two second interval for "ultra low-latency" subscribers, can have a potentially huge impact on trading profits. In exchange for this, Thomson agreed to pay Michigan an annual co-branding/distribution fee. As well, Thomson undertook to pay what is termed a "qualifying" fee that is equal to 25% of so-called "qualifying" revenue. While such staggering of the distribution of information is legal, it is not free from legal disputes. With respect to the Michigan-Thomson agreement, the article reports that Thomson has threatened to take legal action against certain television networks, including CNBC. The reason: such networks apparently announce the index number at 9:55am, when it reaches their desktop, rather than wait until the 10:00 am general public release. And so to my question: does Michigan, as a public university, have any special obligation to ensure that the benefits of its branded index are available equally to all members of the public, provided only perhaps that they pay the agreed-upon fee? This is not like the granting of an exclusive licence, where such exclusivity may well be crucial to successfully commercializing the technology. Here, the more clients for the information, the better. One might retort that staggering the information, as the arrangement with Thomson apparently does, is also intended to maximize revenues, in this case from the compilation of the index. Perhaps so, but unlike the licensing of the technology, such staggering is not essential to the development of the information. By contrast, the exclusive licence may well be the most effective way to ensure that the licensee will take the steps necessary to commercialize the technology. Even more, given the potential for law suits, should the University be directly connected with the interests of Thomson and news broadcasters, each of which is interested in promoting its particular commercial interests? Co-branding always carries the risk of one party having its name sullied by the activities of its co-branding partner. Is this something that the name and brand of the University of Michigan should be involved in? If government agencies take steps to ensure equal access to the information in the public interest, should not a public university, such as Michigan, or even a private university seeking to commercialize information developed, even in part, from public funds, act differently?